Celebrate Spring at Franks’ Hill! | Three Eagles Foundation, Inc. Celebrate Spring at Franks’ Hill! | Three Eagles Foundation, Inc. Celebrate Spring at Franks’ Hill! Bid farewell to winter and welcome spring by observing the vernal equinox amongst the ancient effigy mounds at Frank’s Hill near Muscoda. The Three Eagles Foundation will welcome people to observe the sunrises and sunsets from Saturday through Monday, March 18th to 20th, in recognition of the changing of the seasons. Spring officially begins at 5:28 a.m. on Monday, March 20th. Frank’s Hill will be open to the public for self-guided tours of the mounds throughout the weekend. Foundation representatives will be onsite for the Sunday evening sunset with a campfire and night sky watching to follow. The observations are subject to suitable weather conditions. A short hike will be required to the top of the hill that offers a stunning view of the lower Wisconsin River valley. 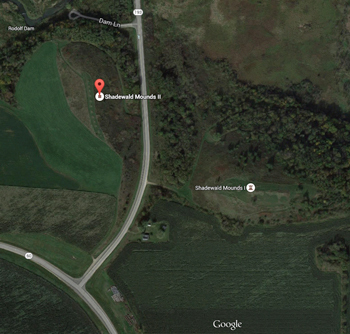 The site is located 2 miles west of Muscoda near the intersection of Hwy. 60 and Hwy. 193. Frank’s Hill is on the National Register of Historic Places. A group of unique effigy mounds is situated on Hill East where the observances will occur. Across Hwy. 193 is the west ridge where a line of small mounds, thought to be calendar mounds, is situated. The site offers a panoramic vista of the area which once contained the highest concentration of bird effigy mounds found anywhere in the world, including the remnants of the giant Ghost Eagle mound with a wingspan of over 1300 feet. The mounds are thought to have been built a thousand or more years ago by the people of the Late Woodland Tradition, recognized by many as the ancestors of the modern Ho-Chunk Nation. To learn more about the equinox events or for directions, contact Three Eagles Foundation President Dave Martin at (608) 739-4198 or visit the Foundation’s website or Facebook page. Frank Shadewald bequeathed the land known as "Frank's Hill" to Three Eagles Foundation upon his untimely death in 2013. Frank believed people of all beliefs should be able to view the mounds, and that they should be treated with the upmost care and respect.